In just over a few days’ time, a multitude of venues across Glasgow, from theatres to chapels, swimming pools to mausoleums, galleries to parks will be transformed by a burst of fresh, invigorating performances and exhibitions for 2017’s Sonica, Cryptic’s biennial festival of sonic art. This is a festival that’s still in its infancy, but is already making huge ripples across the global sonic arts scene, this year hosting artists from Mexico, Japan, Czech Republic, the Netherlands, Denmark, Canada, Ireland, Germany, Switzerland, France, Norway, Australia, and, of course, the UK. Launched in 2012, the festival grew from Cryptic’s Founder and Artistic Director Cathie Boyd’s desire to ‘start a festival which married music and visual, continuing the essence of Cryptic, and to support emerging British artists as well as the best from around the world.’ 2017’s festival is a good showcase of the fruits of that vision. The festival opens with the UK premiere of Danish company Between Music’s AquaSonic, an ethereal and enthralling exploration of aquatic sound. Having worked with scientists and deep-sea divers, and inspired by whale song, the players will perform at Glasgow’s Tramway whilst submerged in large, glowing tanks of water, using specially designed instruments. Govanhill Baths, one of Sonica’s 2017 venues. 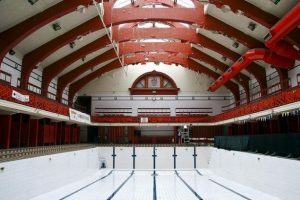 Almost immediately after the baths’ closure in 2001 the Save Our Pool campaign was launched, and Govanhill Community Baths Trust are now just £300,000 short of their £6.3m target to reopen the pool. Which is of course fabulous news, but it means by the time Sonica 2019 comes around, the pool will almost certainly be under construction. Musically, however, all is not lost, as Boyd has her eye on another empty pool for 2019 – although she won’t tell me where. Another unconventional venue, a few miles out of the city itself, is Hamilton Mausoleum, where Dutch artist Robert Pradva will present the UK premiere of his sound Installation Monoid mk II. Using recorded sound, Pradva explores music technology and plays with the Mausoleum 15 second echo, which held the world record for the longest echo until 201,2 when it was taken over by a set of oil storage tanks in the Scottish Highlands – perhaps a bit too far away for a venue for 2019, but who knows. Another hugely important factor in the programming is the artists’ connections with both the city of Glasgow, and with each other. ‘I know how horrible it is to turn up to a city, perform, and leave the next day’ Boyd says of her own touring days. ‘You don’t get to engage with the place. So one of the things that we encourage within Sonica is for our artists to be here for a minimum of three nights. There are a lot of opportunities for the artists to come together, and new works can come out of that as well. So that dialogue is absolutely essential to Sonica’. Part and parcel of this are the artistic partnerships which Sonica fosters. This year two countries – Mexico and the Czech Republic – have been given a specific focus, and Sonica 2017 is part of an ongoing exchange with Mexico, supported by Anglo-Arts. In 2016, two of this year’s British artists – Kathy Hinde and Robbie Thomson – took their work to Mexico as, and two other artists, yet to be confirmed, will do the same in 2019. Mexican works at this year’s festival include Zzzzzzzzz, an installation for record player by Manuel Rocha Iturbe, who Cathie describes as ‘the Godfather of sonic art in Mexico’, and Sideral, a sonic exploration of a meteorite’s journey through space by Marcela Armas & Gilberto Esparza. 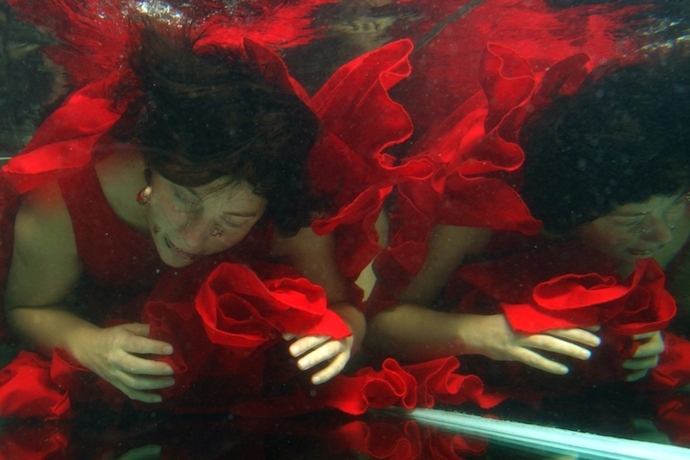 A still from Lynette Wallworth’s ‘Collisions’. From the Czech Republic, artists Floex and Initi present Archifon IV. Part game, part performance, this work sees Glasgow University’s Memorial Chapel transformed into an interactive arts space. 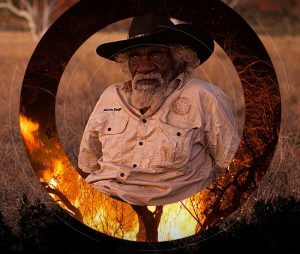 ‘This is very beautiful – this is sonic mapping’ says Boyd. ‘You (the audience) take a laser and point it, and it comes alive, visually and sonically’. Themes of gaming and virtual reality are common through the programme, and come to the fore in Collisions, a VR experience by Australian artist Lynette Wallworth, in which audiences are given the opportunity to fly across the desert, while safely rooted in Glasgow’s Centre for Contemporary Art. Though works like this may transport us to a different place, each work in Sonica 2017 has its own unique sonic landscape. The net result is a festival that strives to enchant and to challenge, as it continues to blur boundaries between aural and visual art.